Our latest case study features Carlson Products, a major supplier of formed and fabricated component parts as well as finished aluminum products for commercial bakeware, industrial, doors, and restaurant leaders throughout the US and abroad. 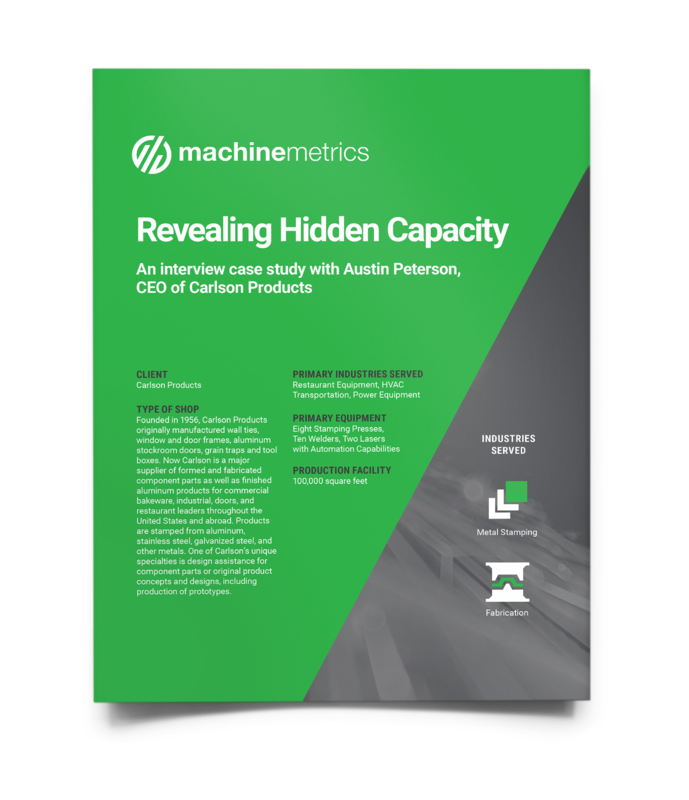 We interviewed Austin Peterson, CEO of Carlson, to learn about all of the fantastic gains his company was able to see after implementing MachineMetrics. For Austin and his team at Carlson, their investment in MachineMetrics paid for itself in 30 days and even garnered them a Kansas manufacturing innovation award for their embrace of IIoT technology ! Reach out to our team below to get started today!